The isolation of Zenru Chan Monastery on Yunju Mountain in Jiangsi province is good for the soul. It looks like the monk’s quiet way of life has been untouched for centuries, even though the building was indeed damaged by Red Guards during the Cultural Revolution. They outlasted the madness, just as they will outlast the current regime, not through active defiance, but by seeking enlightenment from within and through nature. 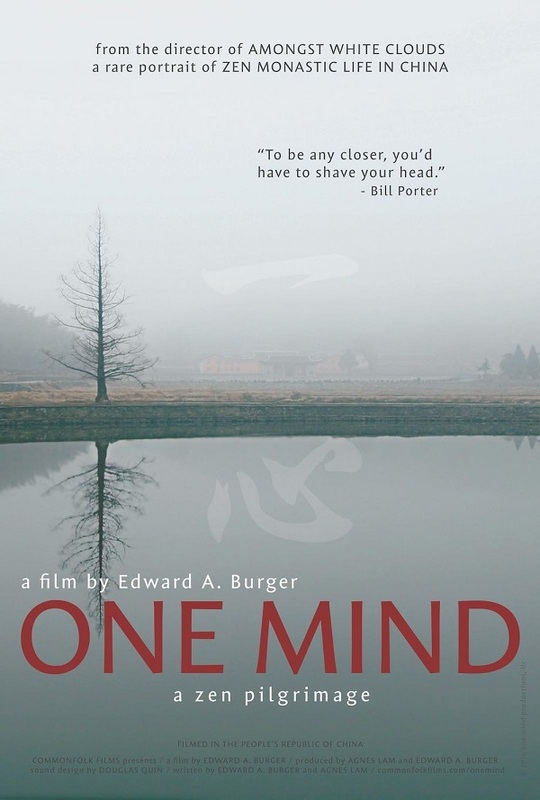 Viewers will quietly observe the Zen Buddhist monks and experience the rhythms of their monastic life in Edward A. Burger’s observational documentary One Mind (trailer here), which has three special public screenings at the Rubin Museum of Art in New York. If you really want to appreciate the monastery’s Zen tea, you don’t just sip it. You also help harvest the harvest the leaves. This is one of many ways the Zenru Chan monks stay connected with the earth. The monastery appears self-sufficient to a large extent, which means there are no idle hands. Of course, the whole point of living there is to lose oneself in work and meditation. Mostly, the monks go about their business without offering any commentary, but one recent arrival having the stumble shorn from his head, explains the practice of head-shaving as a means for monks to renounce and deny their individuality. While we understand the principle, fortunately for us, many of the monks display plenty of personality, often in a cherubically enlightened kind of way, which makes them quite pleasant cinematic company. One Mind is likely to be compared to In Great Silence and Gurukulam, the documentary following life in a Vedanta Hindu ashram (that also had an early screening at the Rubin). In each film, slow cinema and vérité filmmaking become forms of spiritual pilgrimage. One Mind is also billed as a “Buddhist documentary” rather than a “documentary about Buddhism.” There is definitely something to that, but it applies even more forcefully to the ecstatic ending of Seoungho Cho’s short documentary, Scrumped. Viewers have reason to assume there is a large transient population at Zenru Chan, who just stay for a short time to restore their connection to nature and temporarily shut out the extraneous distractions of hyper-modernity. Yet, there seems to be a good feeling of fellowship shared by them all. That is part of what makes One Mind an aesthetically rewarding, immersive sensory experience. It is a film to take in with the eyes and ears, thanks to Burger’s own striking cinematography and the evocative natural and ambient noises modulated by sound editor Douglas Quin. 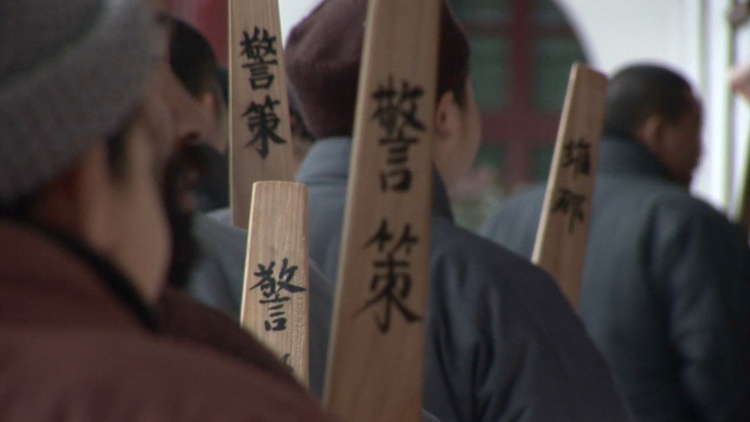 Highly recommended for viewers interested in mindfulness and faith-in-practice, One Mind screens this Friday (9/22), the next Friday (9/29), and the following Wednesday (10/4), at the Rubin Museum of Art.